Uuni 3 is an evolution of the highly acclaimed Uuni 2S, new for 2017 Uuni 3 has been tweaked and perfected and is sure to be as much of a hit as its predecessor. Uuni is a revolutionary light weight wood fired pizza oven, specifically designed for use at home, in your garden or indeed any outdoor space. It's fabulous for entertaining family and friends and a wonderful way to get your kids making their own healthy pizzas, steak, fish or even breads! Includes Baking Stone and Pizza Peel. Thanks to Uuni you can now experience the wonderful flavours of wood fired cooking, without having the hassle and cost of installing a wood fired oven. Made from brushed Stainless Steel it is suited to be left outdoors all year round; you can buy a protective cover bag, making your Uuni easier to carry plus protecting it from the elements. Uuni is a great addition to any garden and will give you years of enjoyment, creating lasting memories and lots of full and satisfied tummies! Makes a wood-fired pizza in just 60 seconds! For recipe ideas and instructions see the product videos available! Uuni are passionate about building a sustainable ethos into their organisation and have committed to plant 10,000 trees, in addition, going forwards they will plant a tree for every Uuni 3 + bag of pellets sold, by partnering with the charity National Forest Foundation. 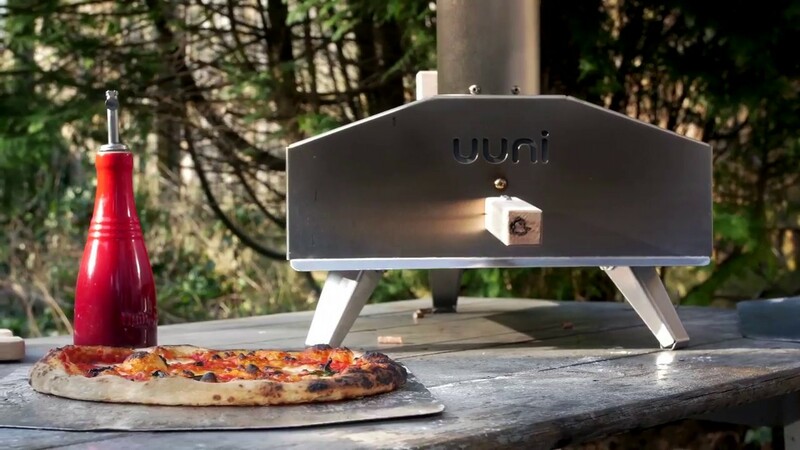 Support Uuni by taking a peek at a few more fantastic Uuni products here including Wood Pellets; Pizza Peels; Sizzler Pans; Bags & Covers and more! You might have noticed a slight change to your favourite outdoor pizza oven? We here at Cuckooland have always found the pronunciation a bit tricky… Uni? Unni? 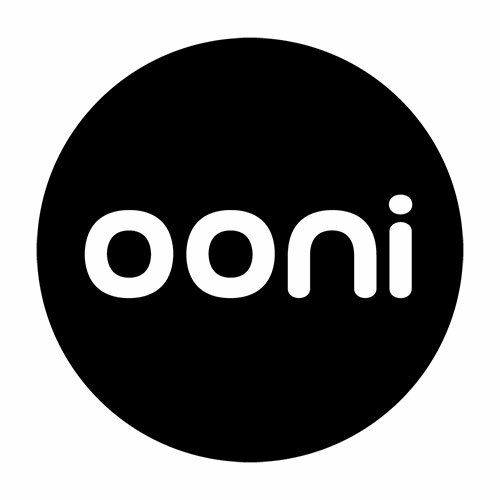 Oni? We’ve heard them all! As their business grew it was time for them to make a change. Although it’s still the same amazing product at the same amazing price… we would like to introduce you to Ooni! You’ll still see Uuni for a little while, we’re just getting prepared. So, keep your eyes peeled, because we’ll be introducing the new branding over the next couple of months! So let’s keep making dishes that make people go ‘Ooooh’ and pick up your Ooni and accessories today! Brand: Uuni. Designed and made in the UK. In 2011, Finnish born Kristian Tapaninaho was living in London with his wife Darina and his baby son, Oskari. Kristian was a keen baker (his mum used to run a bakery back in Finland). He loved making pizzas and perfecting his dough and sauce recipes. His family and friends were delighted to taste his creations and they were, well, ok but Kristian felt like they were just 'good', not great. He knew this was because of the failings of his domestic oven (isn't it always!) - it didn't get hot enough but most importantly the pizzas made in it lacked that authentic ‘wood-fired taste’. He looked into buying a wood-fired oven for his garden, but found that the ovens on the market were very expensive and extremely bulky. Kristian thought... ‘there must be a small, affordable wood-fired pizza oven out there?’… there wasn't. So he set about designing one. After almost a year of prototyping and design work, the first Uuni pizza oven was born. 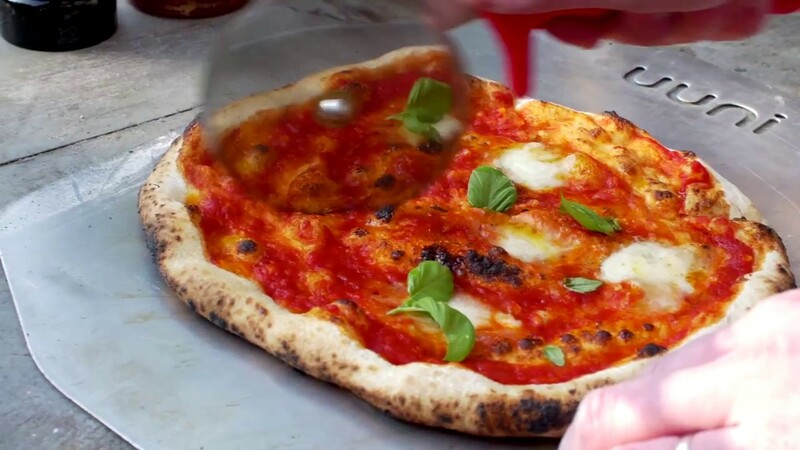 Uuni was launched on Kickstarter with huge success, reaching its funding goal within two weeks and finishing at more than 220% and capturing the imagination of the global pizza community. Now there is an even better model, the Uuni 3 (replacing the Uuni 2S) and we at Cuckooland are over the moon to bring the latest version of this fabulous portable pizza oven to you!